The European Marine Energy Centre (EMEC) will provide an independent performance assessment of Verdant Power’s 5th Generation (Gen5) tidal turbine system to be deployed for commercial demonstration in New York City’s East River in 2020. 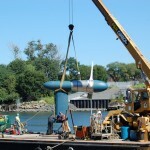 The deployment will be conducted under Verdant Power’s Roosevelt Island Tidal Energy (RITE) Project and be comprised of three Gen5 turbines mounted on a Verdant Power TriFrame™. Verdant Power secured $6 million in funding for the effort in late 2018, including support from the US Department of Energy and the New York State Energy Research and Development Authority (NYSERDA). EMEC will aim to extend its ISO/IEC accreditation as a test laboratory¹ to assess the performance of the three Gen5 turbines using international technical specifications² and seek to become the first marine energy test laboratory to issue a report through the IECRE system. By independently measuring the performance of Verdant’s system, EMEC will add credibility to operational results, and set a new standard for tidal energy technology developers to meet globally. 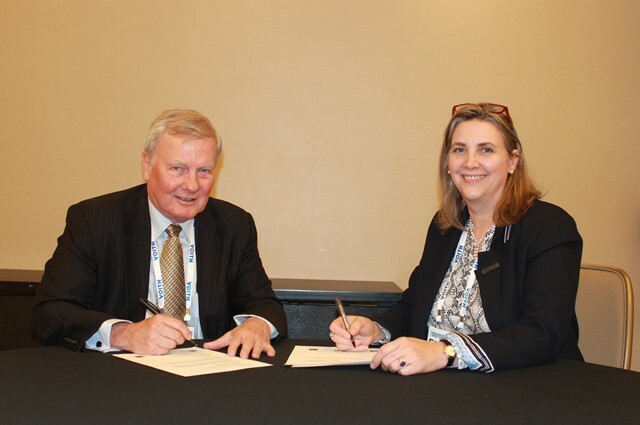 “EMEC has been central to the development of standards for marine energy for nearly two decades, and we will bring these skills to bear on the RITE project. Verdant Power are an innovative company with a strong vision for where they are heading, and we are delighted they have selected EMEC to be part of that vision. “This will be the first time EMEC has carried out an off-site performance assessment, and potentially the first marine energy test report issued through the IECRE. 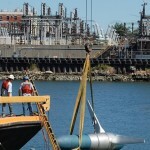 This will set a new bar for tidal energy technologies globally. “Our efforts at the RITE Project over the last decade have allowed us to advance our technology, and the marine energy industry, in significant ways. 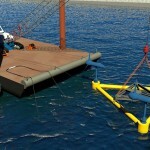 As such, working with EMEC, the world’s premier marine energy test facility, is a natural fit for us. The addition of their technical expertise and particularly their independent third-party verification of our system’s performance is key as we bring the technology to market. EMEC has been a major driver of the development in international standards for ocean energy. In 2007, EMEC developed a suite of guideline documents, six of which have been progressed to become international technical specifications – including the one which will be used at the RITE Project. EMEC was the first organisation in the world to acquire accreditation as an international test laboratory for marine energy and is one of only two bodies to hold such status today.